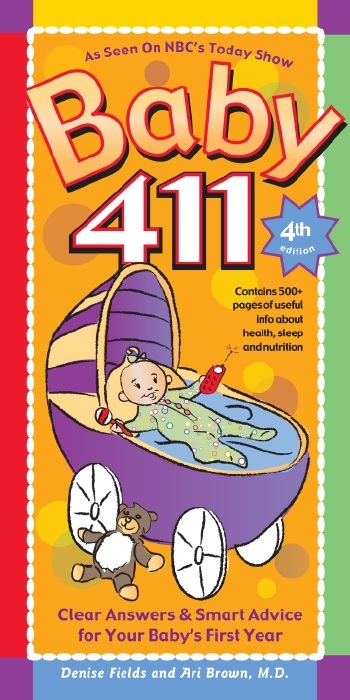 ∼ Baby Bible: Baby 411! While my baby boy is napping in his little bunny chair, I thought I would take the time to tell you about a great book that has helped my hubby and me through this first month of our little guys life. Baby 411 is the owners manual for your baby! Or at least it is for ours! This brilliant book written by Denise Fields and Ari Brown, M.D. has been a life saver in our house. Even if it is just letting us know that what our baby is doing… crying, fussing etc… is normal. It gives you information that will get you through the first year of your little one’s life such as choosing your pediatrician, breastfeeding, nutrition, sleep, development, what to do when your baby is crying and possible reasons why he/she may be doing so, vaccines, first aid, diseases, infections… the list goes on and on and on… So if you are expecting or have a new baby, I would highly recommend Baby 411! OMG OBSESSED!! !